If you’re wondering how to celebrate your multi-denominational sympathies this season, how about enjoying some fun festive nail art? Subtle, affordable and as humorous, serious or lighthearted as you fancy, the world is your oyster – especially with gel polish brands like Gelish which can last over a fortnight with a bit of care, making it just right for the holidays! Here’s the nail art Sami at Simply Pleasure hand-painted(!) for me, incorporating both Hanukkah and Christmas. 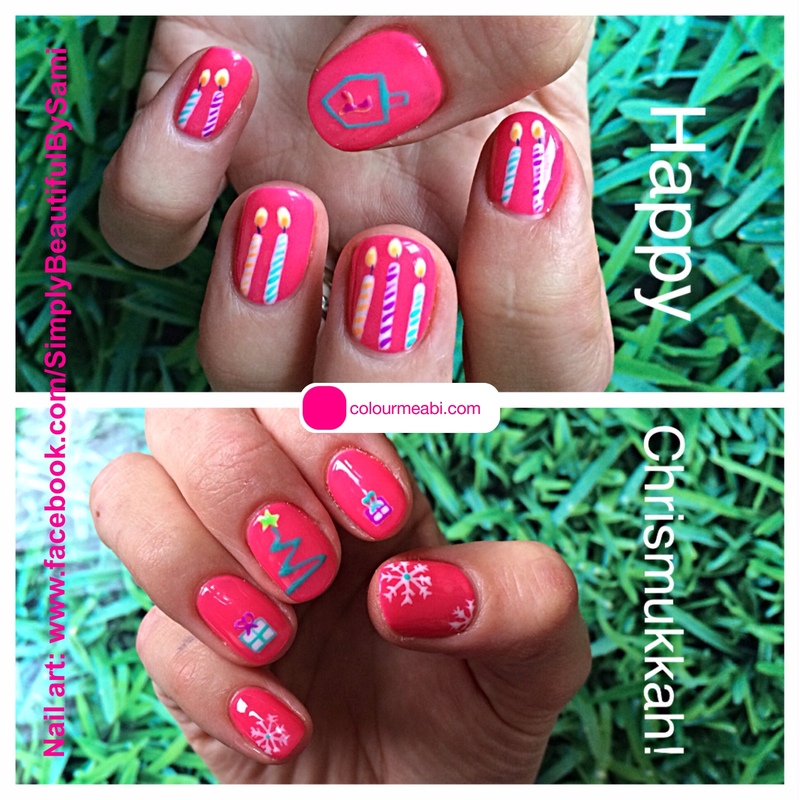 If you’re thinking of copying this idea, then I suggest you direction the nine Hanukkah candles, dreidel and Christmas motifs in the same direction (i.e: all cuticle upwards or nail tip upwards): you’ll notice we neglected to do this ourselves!